Band students in 5th-12th grade will experience the thrill of performing in a world-class concert hall. This program is funded in partnership with the Creative Arts Department and The Ed. Foundation. Funds will be used to provide scholarships for students to attend the district’s summer music program which will allow them to learn an instrument, in some cases for the very first time. 3rd -5th grade students will enjoy an after-school student driven creative exploration. By working with ceramics, painting, printmaking and mixed media they will create individual visual statements that grow out of their experiences, feelings and interests. Students will also learn how other talented artists have created personal work. choreography from various musicals throughout history, in this weekly after-school workshop culminating in a performance. In the spring, 4th and 5th graders will participate in an after-school musical theater program. 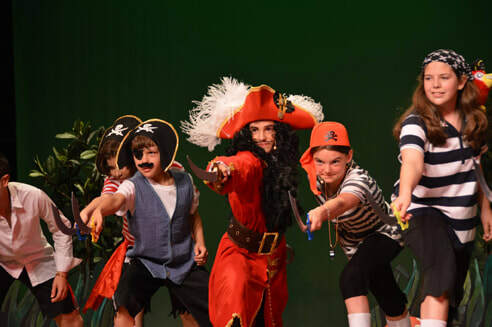 A full musical including singing, dancing, costumes, and scenery will engage students in every aspect of theatrical production (show to be determined). All 5th-grade students will participate in a ten-week ballroom dance residency learning essential life skills through the art of social dance. This program is funded in partnership with the Creative Arts Department, Elementary HSAs/PTAs & The Ed. Foundation. This is a year-long introduction to the fundamentals of 3-D design through the use of various materials. The focus is on artwork techniques and materials associated with the numerous cultures throughout the world. wish to create murals at Schreiber High School for their senior experience, to be enjoyed by students and staff for years to come. Master printmaker and inventor of solarplate etching, Dan Welden, will work with AP Art students to create original solarplate etchings that explore the theme of identity. Students will create a mural that represents a strong stand against bullying. Students will engage in a professional level production of a play for the Port Washington community to enjoy. HEARTS provides support to bring this production to life. Students will be engaged in a professional level musical theater production for the Port Washington Community to enjoy. HEARTS provides support bring this production to life. Students will be engaged in a one day visit with two actors from the Classical Theatre of Harlem and their “Project Classics” program. During the visit they will work with tenth grade classes studying Macbeth. Supporting expansion so more middle school students learn the valuable art of video production. Working with a professional musician, students will participate in preparatory classroom lessons about the significance of protest songs, pre-civil war to present day, through the lens of history and poetry, culminating in a participatory concert. This program is funded in partnership with The Ed. Foundation. In an after-school club, students will learn the technical side of music and theatre by learning how to operate sound and lighting boards, how to create music digitally, and how to record/edit audio and video. This will all take place in the newly renovated Weber auditorium. opportunity for students to work in a small group setting to improve musicianship skills and learn skills unique to the chamber music. In partnership with The Ed. Foundation, 6th grade students will learn about digital news production. They will work on composing stories, video editing and so much more. musically rigorous pop music at their full vocal potential. Working inclusively with students, who are currently engaged in both the art club and drama club, to improve language and social skills so they can reach their fullest potential. General Music students will be able to keep aligned with 21st century learning skills and the districts vision of STEAM, by incorporating more technology in the music curriculum. Pre-Kindergarten students will experience a developmentally appropriate movement/dance program, while exploring space and tempo. The classes will help the students develop social/emotional skills, muscle development as well as developing their dance vocabulary. This afterschool club will introduce students to theater skills while instilling teamwork. The focus is to build teams and camaraderie in the Daly school, further helping to cultivate a strong school community. Third graders bring notable historical figures to life through live performance. The process will include learning effective research and writing techniques while exploring vocal variations that will incorporate use of theatrical voice methodology. There will be a final performance in full costume. Students will travel to the Tilles Center to see The Nutcracker, performed by the Eglevsky Ballet, a Long Island Ballet Company. It features NYC principal ballet dancers and local ballet students from across Long Island. Students will develop an understanding and appreciation for musical arts – including reading music, working with a pianist, choral training and dance choreography. The workshop will recreate a true Broadway rehearsal experience with students learning choreographed dance pieces, staging and a musical composition directly from the Broadway show they will see at a later date as part of their 5th grade moving up celebration. ENL students will be engaged in learning English through the universal language of visual arts, while also learning about artists and a variety of styles. This grant is funded in partnership with the Ed. Foundation. This program incorporates performance arts with the classroom curriculum by having students experience books in a kinesthetic, artistic, imaginative, social and tactile atmosphere. Students are guided to act out a piece of literature bringing the book to life. During key indoor recess days, students will have the opportunity to play an instrument, perhaps one they have never tried before. All instruments and instruction provided by Bach 2 Rock. In partnership with The Ed. 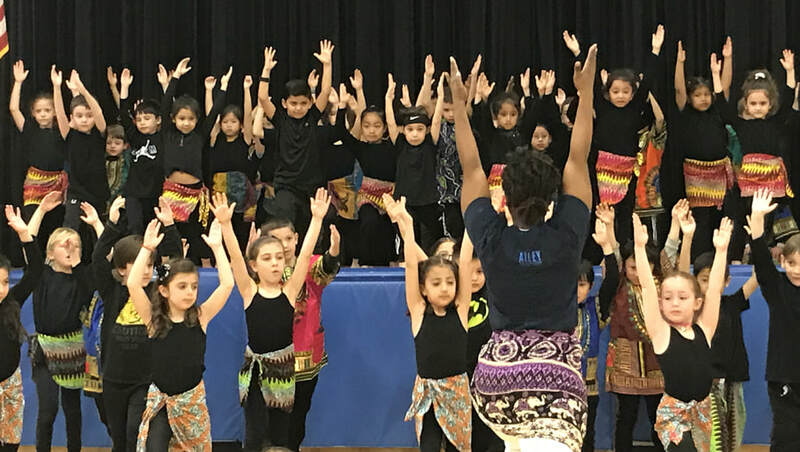 Foundation and Salem HSA, 1st graders will participate in an eight-week, in-school, hands-on residency in West African style dance. These workshops teach unity of body, mind and spirit which is fundamental to African culture. Students also learn regional songs along with dances of welcome and praise culminating in a performance. Support will be used to offset the costs of The Port Summer Show’s annual musical production. Port Washington teen residents, 7th grade through 12th grade, experience a summer program working with a professionally trained director, choreographer and costume designers. Pre-K children who do not otherwise have the availability of extracurricular activities will engage in a new music program for the very first time. Funds will support the Outreach Program’s Scholarship Fund which will allow at-risk children to participate in the PRC’s music, art and dance programs for preschoolers. Seniors who attend programs at the center will engage in specialty art classes facilitated by qualified art teachers. HEARTS new Master Class at Landmark on Main Street will offer free professional development training for community members, teens and adults, four times a year in various arts disciplines. Acting, Singing, Music, Writing for Stage and Screen, Directing and more. HEARTS is a presenting sponsor for the next community mural, continuing the beautification of Port Washington Main Street. The winner of a community artist contest to decide the “Painting History” themed design willreceive an award from HEARTS. HEARTS will also support the creative costs of the mural.